The historical City of Vienna is the location of DDr. Karl-Georg Heinrich’s private clinic, founded in the year 1994. From the very start cutting edge methods for regeneration, rejuvenation, and aesthetical body optimization were our treatment focus. Natural results as well as optimal patient safety have been our main emphasis. By utilizing the body’s own resources such as autologous fat, stem cells, blood, and hormones we are able to offer holistic, efficacious, and yet smooth Aesthetical Surgery as well as Regenerative Medicine. Our body’s own cells have an amazing potential to improve our self-healing capabilities. Mesenchymal Stem Cells, in particular, may revolutionize the treatment of chronic ailments and create new therapeutic options in diseases that have been untreatable so far. They will also be able to replace therapies that are laden with unwanted side effects, as autologous stem cells are optimally tolerated by the body. Since many successful years our clinic has established itself as an innovative medical institution for cutting edge therapies of regenerative and aesthetic medicine. 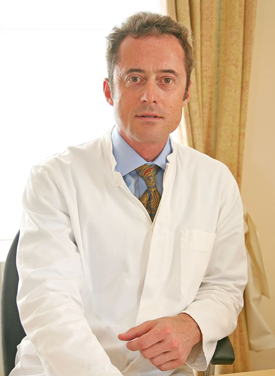 We cooperate with many renowned physicians worldwide on all related fields of medicine and surgery. Numerous patients coming from Austria as well as from almost all other countries of the world have profited from our treatments and services and we appreciate the trust they place in us. All over the world Austria enjoys an excellent reputation for its high standards of medical quality. For your best possible medical care we have implemented a quality management system in our clinic, which goes far beyond the requirements of Austrian regulations. With proper care, precision, and diligence we thank you for your confidence in our medical expertise. Your well-being and safety is our priority. Vienna should be worth a trip for all those who do not enjoy to live in this old heart of Europe with its famous imperial tradition. There is so much to explore even for those who had been here before. Vienna, the capital of Austria, is located in the center of Europe. It was the former imperial residence of the Habsburg dynasty for hundreds of years and is still considered to be the world’s capital when it comes to art, culture, and architecture. The historical center of Vienna as well as the former imperial summer residence Schönbrunn Palace belong to the UNESCO World Heritage Sites. As a seat for more than 30 international organizations as well as an important venue of international conventions Vienna still enjoys a significant role within the international diplomacy. We cordially invite you to visit our clinic in the historical City of Vienna to enjoy time-honored traditions as well as cutting edge treatments for aesthetical and regenerative purposes. To answer your questions, simply send us an e-mail or arrange an appointment for either a personal consultation or a webcam consultation.